I was nearly 17 overall and three years into my life as an Elvis fan when Roustabout arrived at the Fox Theater in Spokane during the holiday season of 1964. My brother and I went to see the movie one Saturday afternoon. The anticipation of hearing Elvis sing a new set of songs triggered feelings of both optimism and angst in me as I viewed Elvis’s latest feature that day. It was Presley’s third film that year. 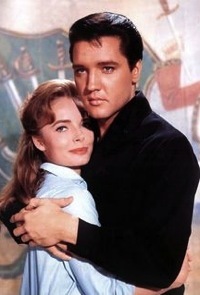 For Elvis fans like me, Kissin’ Cousins proved to be a major disappointment, while Viva Las Vegas had been magnificent. Which one would Roustabout resemble? 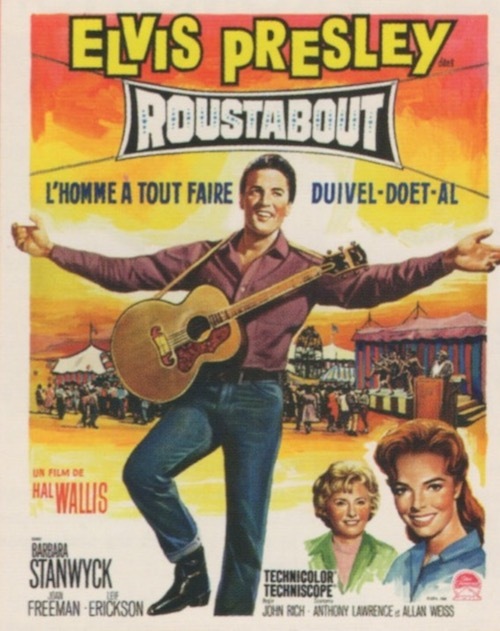 In the final analysis, Roustabout can be placed somewhere in the middle between Elvis’s best and worst feature films. 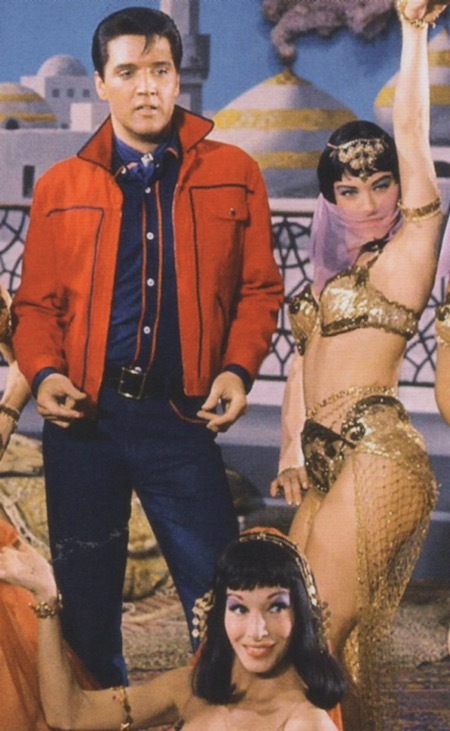 The carnival setting was new, but Elvis reprised the basic role that had worked best for him in the past. In six of his first seven movies, Elvis had played the angry, young man. He played that part best in 1958’s King Creole, and his last previous role as a troubled youth had been in Wild in the Country in 1961. As Presley moved into his late twenties, he was given more adult roles, but here he was at age 30 playing another immature ruffian with a chip on his shoulder. 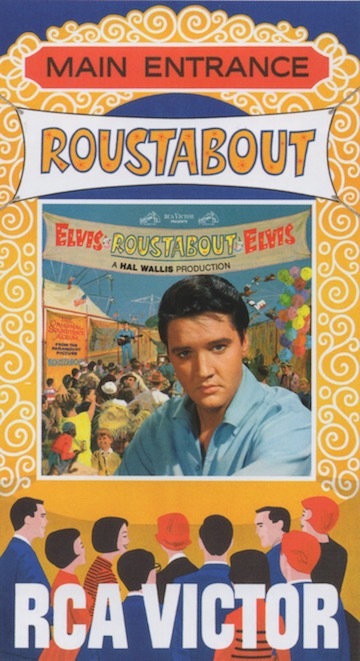 It takes a long time for the viewer to warm up to Charlie Rogers, Elvis’s character in Roustabout. As a tea house singer in the film’s opening sequence, he heckles a group of college boys in the audience, then later uses karate to chop them up in the parking lot. (It is the first of four Elvis fight scenes.) Rogers comes on pretty aggressively with three different females in the film. (His best line: “You could get a little closer. I give off a lot of body heat.”) His boorish approach twice gets his face slapped. Each time he flashed that angry sneer he perfected in King Creole and a few of his other early films. • "You’re a cruel boy, Charlie!" Decked out in black leather and sporting a perpetual sneer, Elvis’s character had the bad boy look down pat. And he talked tough, too. After disposing of the college boys, he is advised to flee before the police arrive. “It might mean trouble,” he’s told. “So what else is new?” responds a defiant Elvis. “You’ve got your religion; I’ve got mine,” the self-centered hooligan later tells Barbara Stanwyck of her character’s love for the carny life. “You’re a cruel boy, Charlie,” she responds, summing up Elvis’s attitude for most of the picture. Of course, he softens up later on, and the film ends with Elvis on friendly terms with all the carnies who had come to hate him earlier in the story. Granted, the dramatic hook in Roustabout is weak, but, then, that had been standard for Presley flics for the past several years. Still, the characters are able to generate a bit more tension than can be found in most Elvis movies of the mid-sixties. The first third of the film is concerned with building up Charlie’s reputation as a heel. Miss Stanwyck’s character kicks-in mid-film to deal with the carnival’s financial woes. The incident of the lost wallet, coming about an hour into the story, turns everyone against Elvis, who winds up getting his face punched four times over it. Brodie indeed comes off well as the baseball pitcher whose tosses continually drop Joan Freeman into a water tank. When Elvis intercedes on behalf of the freezing girl, “Freddie” threatens to “break his spine.” Of course, a fight ensues with Elvis the one-punch loser. Elvis movie fans will remember Brodie in Blue Hawaii, where he had an almost identical role as an obnoxious tourist whose antics led to a nightclub brawl. 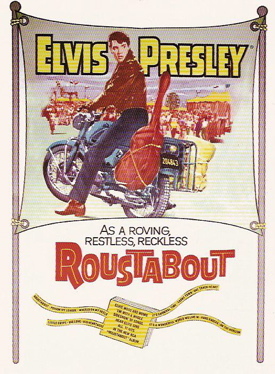 As for the musical soundtrack, which so concerned me on first viewing Roustabout back in 1964, it turned out to be a mixed bag. 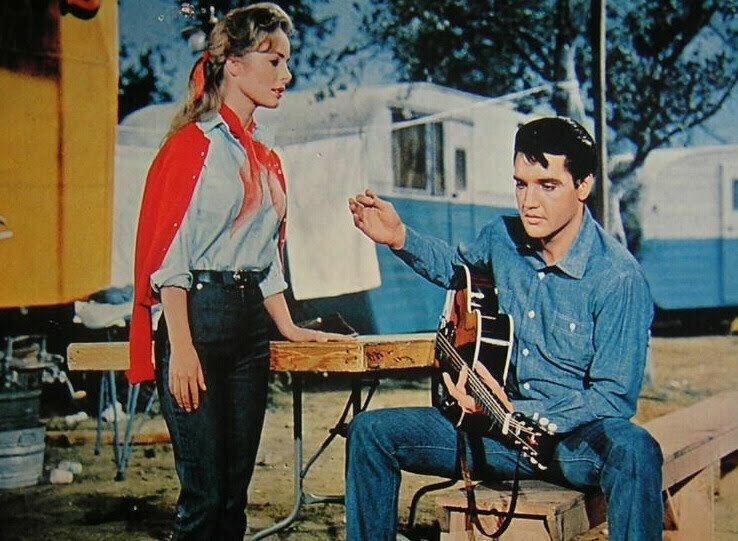 Since Elvis played a singer in the film, all 10 songs he performed, with the possible exception of the finale, fit nicely into the flow of the story. 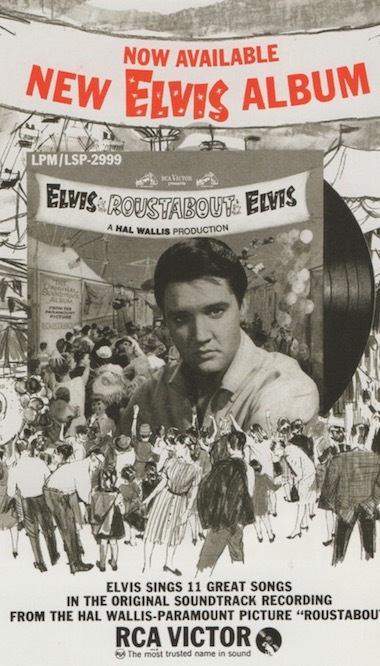 His four carnival stage numbers, “One Track Mind,” “Hard Knocks,” “Little Egypt,” and “Big Love, Big Heartache,” all effectively feature a spotlight on Elvis against dark backgrounds. 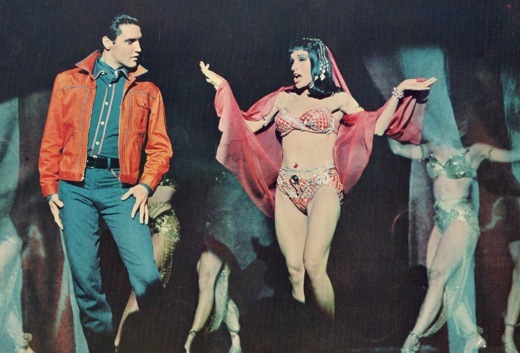 The staging of the “Little Egypt” number is the musical highlight of the film. "Decked out in black leather and sporting a perpetual sneer, Elvis’s character had the bad boy look down pat. And he talked tough, too."